First of all, CCCR ICO is not just about crypto credit card. C3 is a multi-functional platform which gives its users access to multi-currency wallet app, acceptable worldwide credit card and crypto investment and trading platform. Lets review these 3 parts of C3 platform in order to decide whether it is worth investing in it or not. C3 wallet app allows each user to keep money in a multi-currency online wallet, get a loan in a convenient currency and is integrated with investing and trading platform for both crypto and traditional asset. C3 wallet app gives its users extremely fast and convenient way to make direct deposits, payments and receive cashbak from purchases. Another words, it is wallet, where you can use cryptocurrencies like you currently use fiat currencies. You can use it to keep euro, dollars, yen, yuan and other fiat currencies as well. C3 wallet is secure and has powerful API which allows developers to easily integrate it with other apps such as make and extensions for ecommerce platforms. Preinstalled extensions made by the C3 team contain currency converter, cashback service, loan aggregator, C3x Exchange, C3 PAMM-acounts. C3 credit card is multi-currency card connected to your C3 account and wallet. 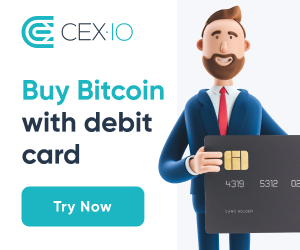 It is acceptable worldwide and allows you to withdraw cash, make payments in stores or cafes, so it is fully functional credit card connected to your crypto wallet. You can also link C3 wallet to your Visa or MasterCard emmited by other banks or payment systems. C3 cryptocurrency exchange is an exchange platform where you can trade cryptocerrencies for fiat currencies such as USD or EUR and for other digital currencies and assets as well. You can also put your money to PAMM account, which is an investment service, that allows investors to make money without trading themselves and managers to earn income by managing investors funds. The CCCR token is a key component of the platform that gives access to other C3 services such as trading, lending and investing. Investor funds raised during ICO will be used by a legal entity to obtain a Swiss payment institution license in accordance with the requirements and laws on payment institutions and e-money institutions. Audit control will be conducted with legally regulated schedule by international audit bureaus.